We’ve all heard the infamous saying from Forrest Gump in the 1995 blockbuster film, “My momma always said ‘Life was like a box of chocolates, you never know what you’re gonna get!’” No doubt, we’ve all said it one time or another, mainly because it’s true! That’s a worldview that, while on the surface, could become anyone’s personal mantra. While one may allow this philosophy to offer hope, another might allow us to hand over our future to luck or chance. On one hand, we might select a delicious morsel that agrees with our palate and is very satisfying. On the other, we might choose one that offers flavors that attack and offend our senses. More specifically, life might bring us reward or punishment! As Christians, we certainly have the freedom to choose. Built on a foundation of morals and virtues we come to know right from wrong and understand the ingredients that ultimately bring us happiness, and the ones that bring us suffering. That is the lesson I have been trying to teach my children! Each and every decision we make has an impact on our future. We actually have the capacity to create our own self-fulfilling future. If we choose what is right according to God’s laws, we are posturing ourselves toward God. And if not, well, let’s pray that’s not the case! I prefer to think of life as like a game of Chess. There are many strategies to approach play, but I believe there are three specific ways most play the game. The first is to decide to play not understanding the rules. When we play Chess not understanding the rules we will surely lose. We can never find success if our opponent understands the rules and we do not! The second is to play on the defensive. If we are constantly reacting to what life brings, we will always be trying to catch up which makes it very difficult to win. The third, which I advocate, is to play on the offensive. When we know the rules and stay a step ahead of our opponent we are most likely to succeed! Lately, my middle-school children and I have been playing Chess. The first step was to learn the rules. If one made a good move it positions them for success. However, when a bad move is made it doesn’t take long to realize it as we begin to lose our capacity to win. Because of this reality they have quickly learned to think beyond the moment. It is amazing to me how quickly my children and I have learned such a valuable life lesson through playing a game! 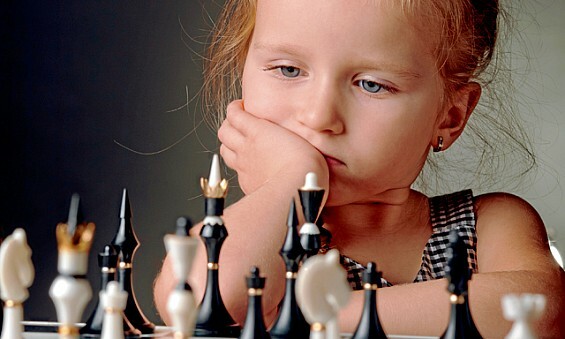 I suppose the teachable moment for me is to think of life in terms of a Chess game. Know the rules, make good choices, and enjoy your successes! Finally, once the strategies are learned, share them with someone else. That’s the game of life!